Here, you will find a list of common questions posed by customers and visitors to our online shop. This is your best resource for finding answers to your questions outside of our office hours. Should you still not be able to find the answer you are looking for, please feel free to contact us. Additional information regarding our services can be found in our Service Centre. Do I need to create an account or can I order as a guest? It is not necessary to create an account with Praxisdienst, although there are many benefits in doing so. Benefits include the ability to review past and current orders, print invoices, return items and even place repeat orders. Even if you place an order as a guest, you will still be able to register an account with us later. I need an official quote before I can order. We’re no strangers to bureaucracy. If you need a quote before you can proceed with an order, please send us an email to info@praxisdienst.com and share with us your billing/shipping address, desired article number/s and quantity as well as your preferred method of payment. I placed an order, but did not receive an order confirmation. An order confirmation email is automatically sent immediately following a successfully submitted order. The most common reason for not receiving a confirmation email is an incorrectly input email address during the ordering process. Please contact us for help in correcting the email address. Regardless of which shipping service you use, delays can occur due to high shipping volume, holidays, construction work, etc. It is best to order as early as possible. We will do our best to help solve delivery issues, but it is best to contact the courier directly. You will need to reference your tracking number when contacting the courier. Full details regarding shipping and how to place an order for shipping outside of the EU can be found under our Shipping and Delivery Conditions. Depending on the country to which you are shipping your order, you could receive it in as little as 1 working day. You can find a table with complete information on shipping times under our Shipping and Delivery Conditions. Express delivery is currently only available for Germany and subject to stock availability. More information can be found under our Shipping and Delivery Conditions. In addition to a shipping confirmation email with a delivery tracking link, your customer account will display your open orders and the shipping status of those orders. If you can see that your order has not yet been shipped, please feel free to contact us to check the shipping status. Please include the order number so that we can quickly get to the bottom of the delay. My order has been shipped, but when can I expect delivery? / How can I track my order? Once your order is shipped, you will receive a shipping confirmation email that will include a tracking link. This will allow you to follow your delivery every step of the way. By downloading the free DPD Predict app, you can also make adjustments regarding the delivery of your package. For this, you will only need your parcel number, which is displayed in the tracking link. Estimated shipping time for each EU country is displayed under our Shipping and Delivery Conditions. It says, “Not ready for shipping…” next to an article. What does this mean? The item is not in stock at this moment, although the next shipment may be on its way. The item is not regularly stocked. This is often the case for sterile items with a short shelf life or for elaborate, expensive devices. This ensures you receive the most up-to-date version of your ordered item. Tip: By ordering an item with this message, you reserve that item for yourself and minimise your overall wait time in receiving it. Please feel free to contact us with queries regarding stock availability, average wait time, etc. When doing so, please indicate the exact article number e.g. Art. No. 123456. My ordered item is in stock, but has not been shipped. Why? The item was indeed shipped, but you made a typo when inputting your email address; therefore, the automated shipping confirmation email was sent to the wrong email address. Please contact us with as much order information as you can provide and we will help get you on the right track. Many items have multiple variants. While one version of the item may be in stock, your ordered version may not have been in stock when placing your order. It is important to note the stock availability* messages when switching between item variants. These appear next to the item as a green or yellow message. You ordered a larger quantity than we had in stock* at the time and we are waiting on the arrival of the remaining items. If your order is urgent, please contact us so that we can come up with a solution for you. *Please feel free to contact us for questions regarding stock availability. Please include the article number so that we can more easily help you. The article number appears under the item's title, like this: Art. No. 123456. I just received my shipping confirmation, but the tracking link isn't working. If you receive your order with damage to the box or products, please notify us immediately and provide pictures of the damage. We will help you process the reclamation. Please contact us at info@praxisdienst.com and include your order number or invoice number as well as the pictures in the same email. By choosing either of these options, the courier is immediately made aware of potential shipping damage and will expedite the reclamation process. Otherwise, your signature will indicate to the courier that the package arrived in proper condition and this could negatively influence a reclamation. How much does an item cost? Can I pay in a different currency? All of our prices are displayed as NET and do not yet include VAT and shipping cost. To see a complete price breakdown, simply place the item/s in your basket and proceed to the checkout. This does not obligate you to make the purchase. To view the price in a different currency, please use the dropdown menu located at the top of the page underneath the English flag. Here, you will be able to select EUR, USD, CHF, GBP, DKK, SEK, PLN as acceptable currencies. Our practice or business is VAT registered. Do I still have to pay VAT? We accept valid EU VAT registration numbers. When ordering online, you will have the ability to input your VAT Reg. No. and our system will immediately crosscheck it against the EU database for validity. If it is valid, then VAT will automatically be removed from the cost of the order. If ordering via email or purchase order, please share the number with us. Important: Please remember to include the two letter country code at the beginning of the number, otherwise our system will not recognise it as valid. How do I pay? Can I pay with a cheque? Yes, you can! There is a payment link in each order confirmation email, which you can use to pay your invoice via credit card or PayPal. The payment link will expire, however, if too many days have passed. If the link is expired, simply contact us for a new one. We strive to provide as much information as possible on our article pages. If you do not find the information you are looking for in the product description or product details, you may check for frequently asked questions located further down on that same page. Still didn't find what you're looking for? While we do try to help with product questions, we are only retailers and, therefore, limited to the information provided to us by the manufacturer. It is often recommended to contact the manufacturer directly regarding product queries that are not answered in our respective article descriptions. The name of the product's manufacturer can always be found to the right of the "Art. No." beneath the product title. My ordered product is no longer working properly. What do I do? If you are having issues with a product you ordered from us, please contact us at info@praxisdienst.com and describe the problem. If possible or relevant, you can send us pictures or videos to better explain the issue and help us diagnose the problem. If we cannot help you solve the problem on your own, then we will ask you to return the item to us for further inspection. If we cannot fix the item, then it will be sent to the manufacturer for repair/replacement under the terms of the warranty. If you believe you have a warranty claim, please contact us at info@praxisdienst.com and describe the problem you are having with your product. If possible or relevant, you can send us pictures or videos to better explain the issue and help us diagnose the problem. If we cannot help you solve the problem on your own, then we will ask you to return the item to us for further inspection. If we cannot fix the item, then it will be sent to the manufacturer for repair/replacement under the terms of the warranty. No. Unfortunately, we do not currently offer engraving for any of our products. Log in using your old email address (or whichever email address you used to create the account). Go to "My Account" at the top of the page. Go to the "Account Details" section. Under "Address Details", click on "Add or Edit". Here, you will see your billing address. Click on the "Change" button. Enter your new email address and click "save". If you are having any difficulty changing your email address, please let us know and we will be happy to change it for you. We are a manufacturer/supplier and would like to work with you. 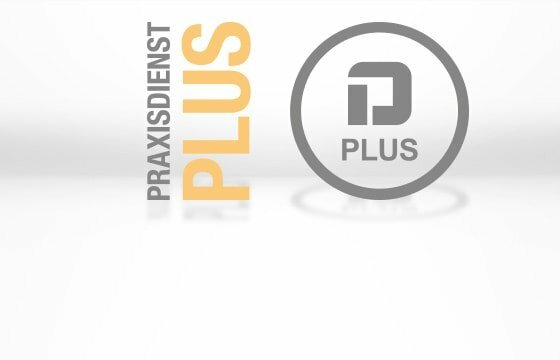 Please note: Our online chat and our phone lines are reserved for our customers; therefore, all requests from manufacturers and suppliers must please be sent by email to info@praxisdienst.de. From there, it will be passed along to the responsible party who will then be in contact with you if there is need of your products. Please understand that we cannot respond to each individual request.